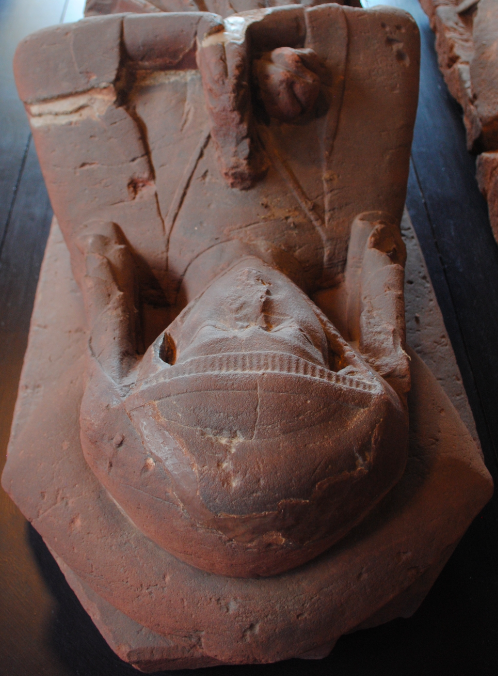 On display in Furness Abbey Museum is the effigy of a lady wearing a long dress and a cloak which is tucked up under her right arm. Wearing a veil and a wimple, her head rests on a pillow while her feet rest upon a dog – a sign of faithfulness. 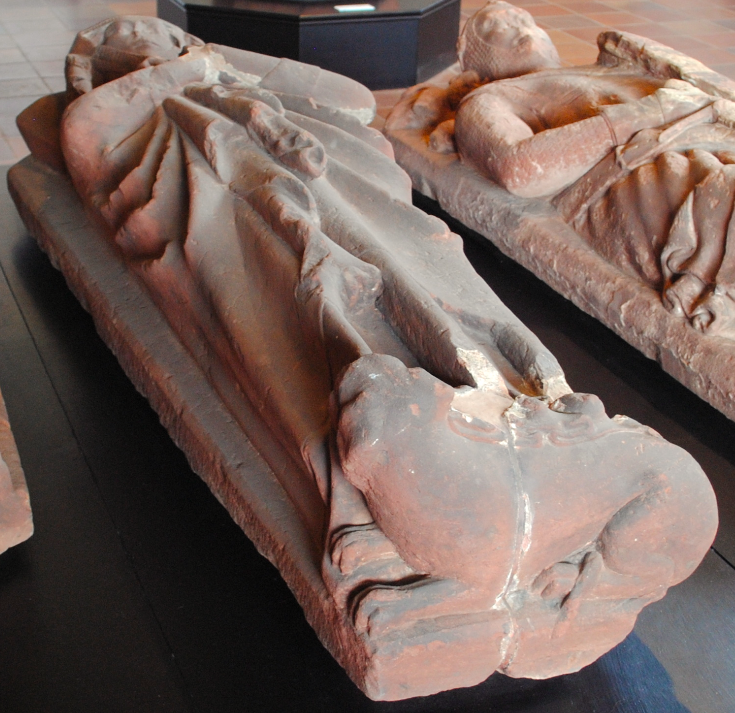 The effigy dates to the 14th century and may represent a member of the Lancaster family, Barons of Kendal, who had right of burial here from the 13th century.